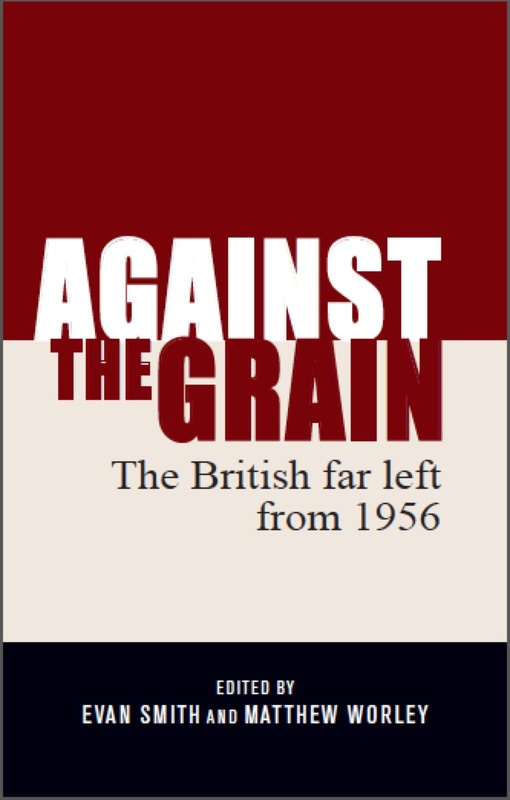 Just a quick note to let you all know that the blog Socialist Unity has posted a review of our book Against the Grain: The British Far Left from 1956. You can read it here. This week it will be forty years since the introduction of the Prevention of Terrorism Act (Temporary Provisions) 1974, passed quickly in the aftermath of the Birmingham pub bombings in November 1974. The POTA was a broad piece of counter-terrorism legislation and many of the controversial elements of contemporary legislation concerning counter-terrorism and national security can be traced back to this 1974 Act. 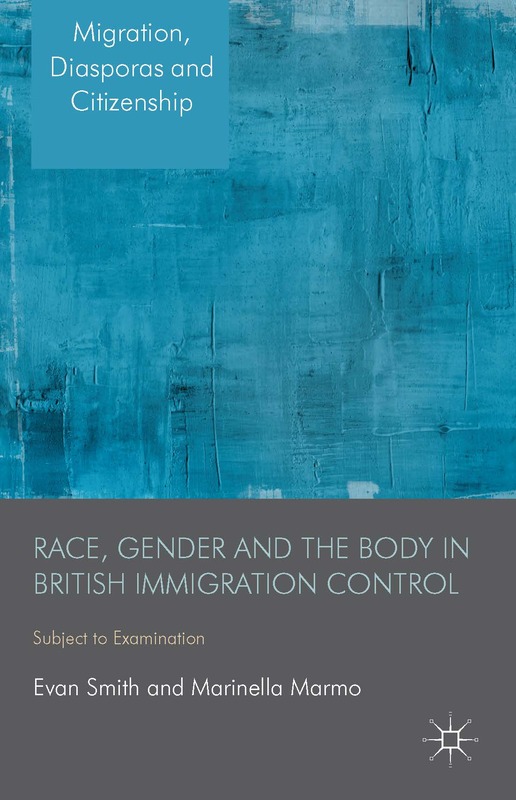 Many have written about the dramatic powers of the POTA, including the extensive powers of arrest and detention, but this post will focus on exclusion orders, which were granted under the POTA and the first piece of border control legislation to inhibit travel between the UK and Ireland. Although abolished in 1999, the national/border security framework created by the POTA and its exclusion orders have informed how terrorism is “countered” at the UK border in the 21st century. Part of this post is based on a paper on monitoring potential ‘terrorists’ coming from the Middle East and North Africa in the 1970s and 1980s currently under review, which is why there are references and comparisons to this in the post. If you would like to read a draft, please get in touch. The major terrorist threat to the UK during the 1970s was from the Provisional IRA and other Irish nationalist groups. Although most of the attacks during the 1970s occurred in Northern Ireland, Irish terrorism was always seen by the UK authorities as an internal or domestic terrorist issue. This was in contrast to the terrorist threat from the Middle East and North Africa, which was seen as an external threat, with an internal Foreign and Commonwealth Office report from 1980 stating ‘The main, continuing external threat of terrorist activity in Great Britain still comes from the Palestinian groups’. [i] As Kathryn Fisher has written, ‘International terrorism was positioned as non-domestic and non-British, an enemy from outside’. [ii] From a border security perspective, the irony of the Irish nationalist terrorist threat was that Irish citizens were free to enter and reside in Britain without restriction,[iii] while the much less immediate threat of Middle Eastern and North African terrorists entering Britain was heavily regulated. In 1973, the Provisional IRA shifted its focus from merely targeting the British in Northern Ireland to a wider bombing campaign on the British mainland. This began with a bombing at the Old Bailey at March 1973 and continued throughout 1974 until November that year, when two Birmingham pubs were bombed, killing 21 people, and the UK government, blaming the Provisional IRA (the group has never claimed responsibility for it), hastily formed the Prevention of Terrorism (Temporary Provisions) Act 1974. The Prevention of Terrorism Act gave the police and the security service wide-ranging powers of arrest and detention to counter terrorism extending from Northern Ireland. Of particular importance are the exclusion orders that could be delivered to potential terrorists under the Act to prevent people under suspicion of terrorist activity from entering Great Britain (as opposed to the United Kingdom, which included Northern Ireland). 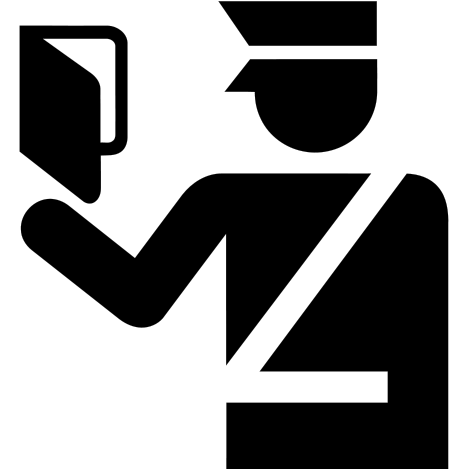 Part II of the Act gave the Secretary of State the power to exclude persons from entering mainland Britain if they were suspected of preparing terrorist acts ‘designed to influence public opinion or Government policy with respect to affairs in Northern Ireland.’[iv]However UK citizens who had been living for the last 20 years or born and ordinarily resident in Great Britain (England, Wales and Scotland) could not be excluded. This meant that people could not travel to mainland Britain from Northern Ireland or the Republic of Ireland if they were suspected of taking part in Irish nationalist terrorist activities and were excluded under the new legislation. The 1974 Act did not prevent people from entering Northern Ireland from the Republic of Ireland or Great Britain if suspected of being involved in acts of terrorism. The reason that Northern Ireland was not included in the legislation was because it was believed by the UK government that ‘terrorist attacks in Britain inevitably tend to be committed by people who have travelled here from Ireland, while those that take place in Northern Ireland tend to be committed by those already living there, or by those who have come over the border from the South’. [v] If a person who was not a UK citizen, they could be prevented from entering the whole of the United Kingdom (including Northern Ireland), but this was only for people suspected of being involved in terrorist activities designed to impact upon the politics of Northern Ireland, which became a problem for the authorities in the late 1970s and early 1980s as they tried to formulate ways in which the border control system could prevent potential Middle Eastern and North African terrorists from entering the country. [i] ‘Near East/North African Terrorism in Great Britain: Possibilities for Preventative Action [final version]’, n.d., p. 1, FCO 60/685, National Archives, London. [ii] Kathryn Fisher, ‘From 20th Century Troubles to 21st Century International Terrorism: Identity, Securitization, and British Counterterrorism from 1968 to 2011’, unpublished PhD thesis, London School of Economics, 2012, p. 19. [iii] There has not been much research into the policing of the UK-Irish Republic border and counter-terrorist efforts against Irish nationalists, although Henry Patterson’s recent book uncovers a lot of new material regarding this. See: Henry Patterson, Ireland’s Violent Frontier: The Border and Anglo-Irish Relations During the Troubles (Houndmills: Palgrave Macmillan, 2013). [iv] Prevention of Terrorism (Temporary Provisions) Act 1974, Part II, s. (3) 1. [v] Cited in, Josephine Doody, ‘Creating Suspect Communities: Exploring the Use of Exclusion Orders in Northern Ireland’, Behavioral Sciences of Terrorism and Political Aggression, 4/1 (January 2012) p. 82. [ix] Lord Shackleton, Review of the Operation of the Prevention of Terrorism (Temporary Provisions) Acts 1974 and 1976 (London: HMSO, 1978) p. 30. 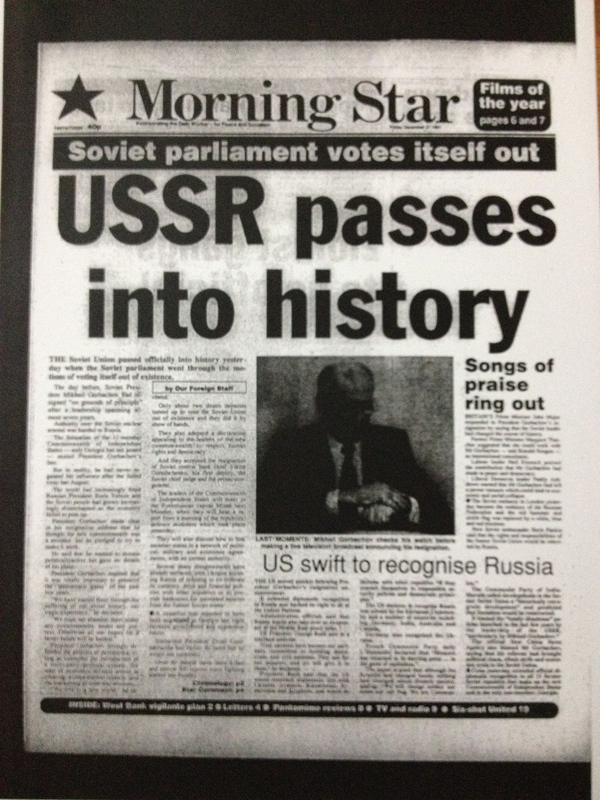 Looking through documents from the National Security Archive from Georgetown University has got me thinking about the shifting allegiances of the Communist Party of Australia in the post-war era up until the mid-1970s. As I have written in another post, the CPA came out of the Second World War as quite a militant organisation and was heavily influenced by the anti-colonial wave in South East Asia, led by the Chinese Communist Party. In 1948, the CPA lambasted its British sister party for not adequately supporting the anti-colonial struggles in places such as Malaya and for indulging in ‘Browderism’. This enthusiasm for Chinese communism and the direction put forward by Beijing/Peking lasted throughout the 1950s. Part of this was geographic, but also ideological. The Soviet Union and China had divided its attentions to different spheres after 1949, with the USSR focusing on Europe (as well as the Middle East) and China on Asia and tensions developed between the two, primarily over the subordination of China to the Soviet Union within the international communist movement. After Khrushchev’s Secret Speech about the crimes of the Stalin era in February 1956, the division between China and the Soviet Union took on an ideological bent and two communist powers raced towards confrontation with each other. The CPA shifted towards the Chinese line and were wary of ‘revisionists’ within the Soviet Union. The Sino-Soviet split came to a head in 1960 and the USSR called an international meeting of communist and workers’ parties, with each Communist Party across the world having to declare their allegiance to either Moscow or Beijing. In his book The Family File, Mark Aarons suggests that the CPA leadership was wavering over which side to join (the Communist Party of New Zealand chose to align itself with China) and it took two significant payments from the Soviet Union to assure their allegiance. The Soviet Union sent an emissary to shore up the CPA’s position within the international communist movement and the CPA became more critical of China. 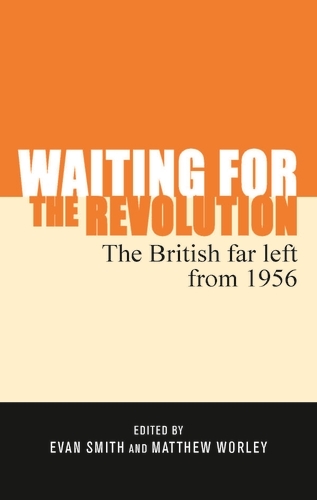 As this ASIO report outlined, this realignment caused a considerable minority within the Party to revolt against the CPA leadership and in 1964, Victorian CPA leader Edward (Ted) Hill led a section of the membership out of the Party to form the Communist Party of Australia (Marxist-Leninist). But while an overtly pro-Chinese element had been forced out of the Party, the new leadership of the CPA, under Laurie Aarons, was not exactly the most slavishly pro-Soviet. We cannot agree to the pre-emptive occupation of a country by another, on the alleged threat from outside, particularly when such action is taken without prior notification to the government and CP of Czechoslovakia. … It is hard to believe that [the Soviet leaders] realise the damage they cause to their own standing and the image of socialism throughout the world by acting in this way. Concretely, we believe that this Meeting should declare its full and unequivocal support for national independence, sovereignty and non-interference in internal affairs for all nations, whether great or small, and whatever their social system. We support the amendment already proposed in the Preparatory Commission by the Italian comrades which states this clearly. This would demonstrate the moral superiority of socialism, guaranteeing fulfilment of Marx’s prediction that the new society will establish relations between nations that correspond to human relations between people. This problem is posed before us by the events of August 1968 and their consequences. If we say openly that the August 1968 intervention in Czechoslovakia was wrong, it is not because we want to intervene in the internal affairs of the Parties which made the decision. If we say the continued presence of troops is wrong, it is not because we seek to intervene in the internal affairs of the Czechoslovakian Party, nor to comment upon its policies. We have spoken up, and speak up before this Meeting, out of a deep and heartfelt commitment to the socialist cause and to our understanding of Communist principles and ideals. We have said, and we say again, that the intervention harmed our cause, the struggle for a socialist world. Its impact was deep, its consequences far– reaching. They will not be easily overcome; this will be all the more difficult so long as unequal relations continue. Others may disagree; we hope our debate can develop on the level of principle and theory. Internationalism cannot be separated from a regard for rights of all nations, great or small. In our view, internationalism cannot be identified with the state interests of any socialist country. This is all the more important when contradictions and even antagonisms arise between socialist states. Then, we must say that it is not possible to decide the issues by an appeal to internationalism. In this connection we have proposed an amendment to the Document, which would state our support for the restoration to the People’s Republic of China of its territory of Taiwan, illegally occupied by US imperialism by force. And we propose here a statement condemning US imperialist policies against China and in this area of Asia and the Pacific. These proposals are made in the interests of the fight against imperialism, with the aim of taking some initiative for moving towards a common stand by all components of our movement. The Australian CP statement… rejected the claims of either side to be the sole interpreter and custodian of Marxism, and thereby to assume a position of hegemony over others. In the case of the CPA, the Party was still partially accommodated by Moscow, but the pro-Soviet breakaway party, the Socialist Party of Australia, was also courted by some within the Soviet Union. The SPA, led by Pat Clancy and Peter Symon, was formed in 1971 from those who left the CPA over its criticisms of the Soviet Union and alleged abandonment of the principles of Leninism. 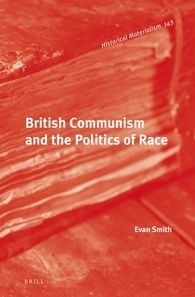 While the CPA had not embraced the ideas of Eurocommunism yet, as it did in the mid-to-late 1970s, it had lost its pro-Soviet (and pro-Chinese) edge and was influenced by the thinking coming out the Italian, French, Spanish and British Communist Parties. The gist of the matter: the Aaronses (“revisionists and anti – Soviets”) are proposing a meeting of CPSU and CPA delegations, and they are asking us to send greetings for their Congress (March 31st). The note: We’ll respond after your congress, depending on its results. [If we don’t like it], we will formally sever our connections with the CPA. Or – [John] Sendy, the chairman of the CP of Australia, which has been sticking its nose in the air at the CPSU for many years. They can’t adapt to what is going on in the world, where three cumbersome and powerful wheels (U.S., USSR, PRC) are turning, and which are so connected to each other in their momentum that no grains of sand like the Communist Party of Australia can stop them. One wouldn’t even hear a squeak if it carelessly got caught between these wheels. The best thing to do for such CPs as the Australian one is to quietly cling to the safe side of the Soviet (or the Chinese, if they like) wheel. On the other hand, Chernyaev also met with representatives of the SPA in Moscow and ‘encouraged [them] to keep it up against the Aarons brothers’, although by 1973, when he met with Pat Clancy, Chernyaev admitted that the SPA was ‘really a lost cause’. Zhukov and I spent four hours at Sheremetyevo airport, seeing Aarons off. We informed the CPA about everything. They had been expecting a breach. It seems things are moving towards normalization after all. They understand that a break with us would isolate them from the majority of communist parties and eventually would bring them to the position of a sect. It helps to illuminate, I think, the real responsibility for the lamentable dramas of the past few weeks in Canberra. 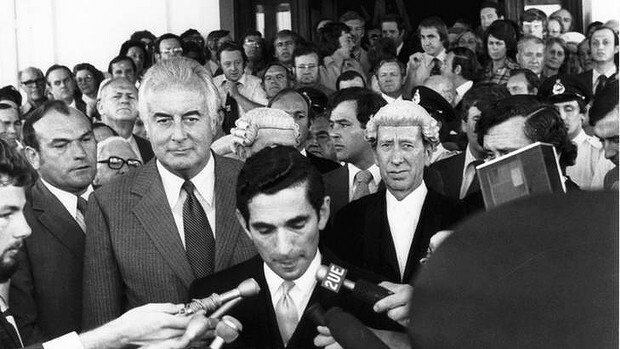 Certainly the naked ambition for power of Mr. Fraser, and the obduracy of Mr. Whitlam, have contributed to the crisis; and it is impossible to dismiss completely the suspicion that Sir John Kerr’s judgment has been open to question. But the real villain, if there is a villain at all, has been the inherent contradictions of the Australian Constitution… Was it ever really a practical possibility to combine an Upper House on the American model, in which all the states are represented equally irrespective of population, and having a broadly the same powers as those of the Lower House, with a Westminster style of relationship between the executive and legislative branches, in which by convention the possession of a majority in the Lower House confers the right to form the Government and to govern as long as the majority lasts? It is this attempt to reconcile the irreconcilable which the Australian Constitution enshrines. If the contradiction has only now led to a major political upheaval , the reason is that hitherto Australian leaders have respected , not just the letter of the Constitution, but also the spirit of the unwritten conventions concerning the exercise of power which breathe vitality into written documents… The moral is that sooner or later a reliance on the discreetness of members of the Chamber, and on their willingness to refrain from exercising their normal rights in the pursuit of power, is likely to come unstuck. I suppose it is a moral which those who depend more on unwritten convention than on written Constitutions ought, in their own interests, to ponder. James, earlier in the report, suggested that Senate needed to be seriously reformed or abolished and highlighted a potential problem that Australian governments have avoided for the last four decades, unwilling to indulge in the brinkmanship that Fraser did in 1975. But he also seemed to be suggesting that the Westminster system did not need an elected house of review, in line with conservative thinking in the UK at the time, alluding to the problems that might be faced if there was electoral reform in Britain. If there were ever to be a right wing coup in Britain it would not be carried out by paratroopers landing in central London, as it once seemed they would land in Paris just before de Gaulle came to power, but by an attempt to repeat what happened to Gough Whitlam when the Governor-General dismissed him as Prime Minister. But it would be interesting to see if conservatives in the UK saw the events of 1975 in Australia as a demonstration of why an elected (and more powerful) upper house was undesirable. What we are seeing now is not the crisis of Socialism, but the crisis of the outdated model of Socialism. Perestroika is outlining the contours of the new model to which the future belongs. Those who are ready to bury Socialism, because of the difficulties we are going through will be disappointed. The cause of the Great October Revolution is immortal. The German Democratic Republic is awakening… A revolutionary people’s movement has set in motion a process of serious upheaval… The aim is dynamically to give Socialism more democracy. The party announced plans for the total reform of the electoral process onto a multi-party basis and for the establishment of the rights of assembly and press freedom. New underground and railway border crossings are also to be investigated, said the GDR Interior Minister Friedrich Dickel. Amid scenes of wild jubilation thousands of GDR citizens visited West Berlin for the first time in their lives – with most of them enjoying the stay but returning back later. There should be no illusions. Strong forces in the West still harbour the hope that they can exploit the current situation in the Socialist countries to the advantage of capitalism. 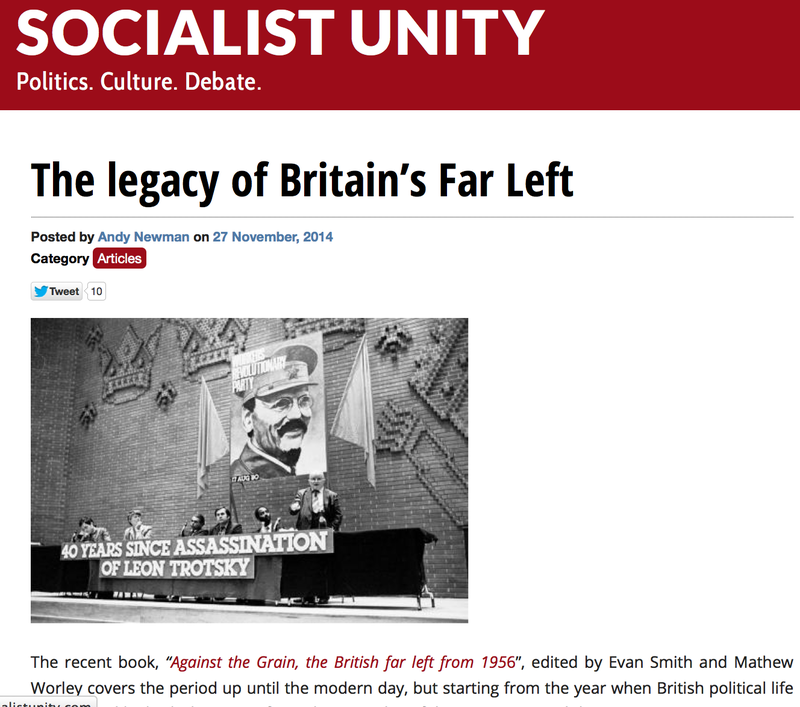 The labour and progressive movement in Britain needs to be aware of this and not allow the more extreme forms of anti-Communist propaganda in the Western media confuse the issue. It is vital that the demand is made that the countries of Eastern Europe be allowed to resolve their problems in their own way without interference. The principal [sic] of respect for national sovereignty and non-interference in the internal affairs of another nation has got to become the bedrock of all states in the whole of Europe if Europe is to play a role in advancing the cause of peace and make a positive contribution to global problems… Elements within the West who continue to attempt to push arguments about the reunification of Germany are only complicating the situation. The question of the relationship between West Germany and the German Democratic Republic is for those two countries to decide on the basis of the principle of peaceful co-existence. 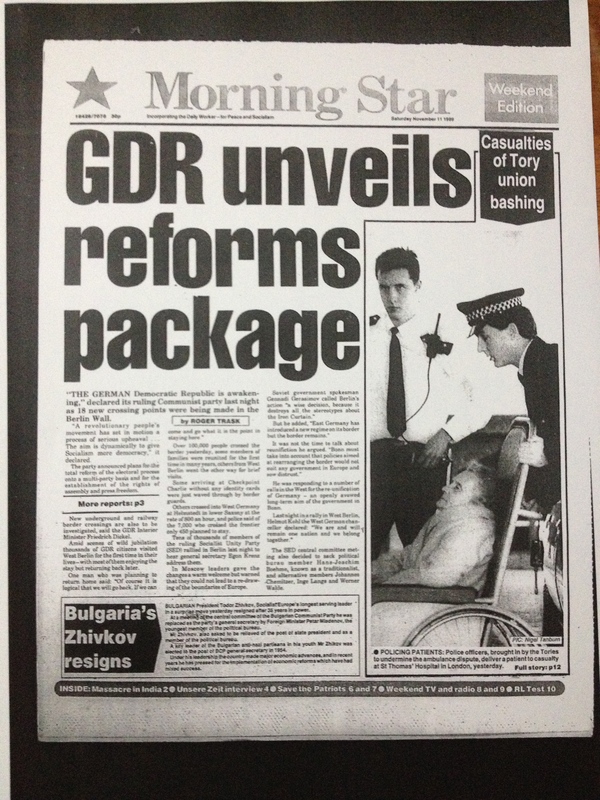 As would be expected, the language used in the Morning Star in its reporting of the events from 1989 to 1991 was much more moderate than what was expressed in Marxism Today or the Socialist Worker, but there were many positive stories about the people’s uprisings in Eastern Europe and the moral and political bankruptcy of the collapsing regimes [p. 160]. 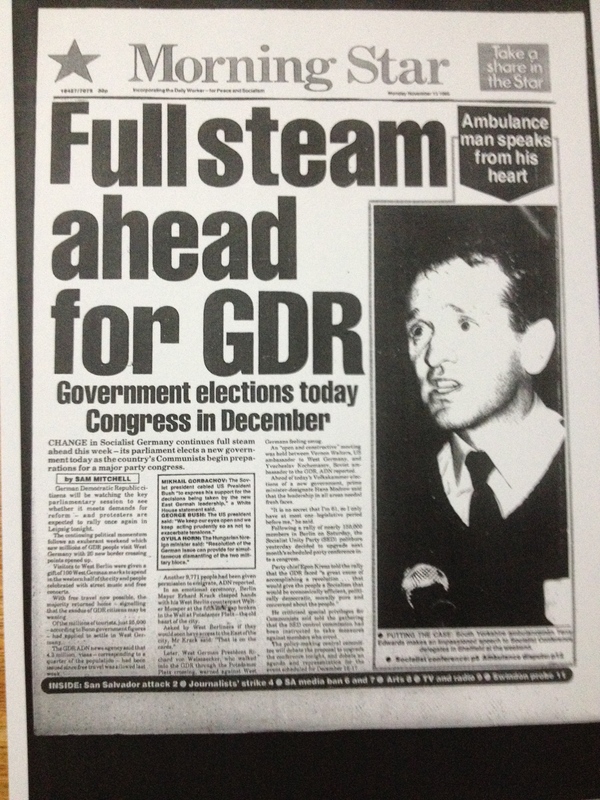 25 years on, I wonder how the paper will report on the anniversary of the fall of the Berlin Wall in the current climate.